Twiga is a machine that combines innovative production with a high degree of accuracy, flexibility, and quality. Twiga offers all this and more at a very affordable price. 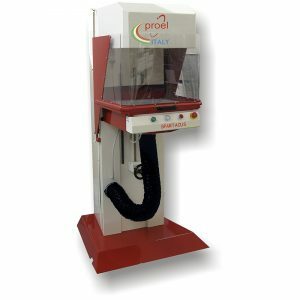 It is equipped with a CO2 – 60 W / 100 W / 150 W – pulsed or CW- liquid or air cooled -Laser source and a galvanometric head that provides an extremely fast working speed (up to 10 m/s), thus achieving a high level of productivity. Twiga can accommodate many types of materials such as wood, paper, textiles, anodized aluminum, non-toxic polymers, plexiglass, leather, etc. and, for this reason, Twiga is the ideal machine both for cutting and for marking/engraving on textiles and fabrics. 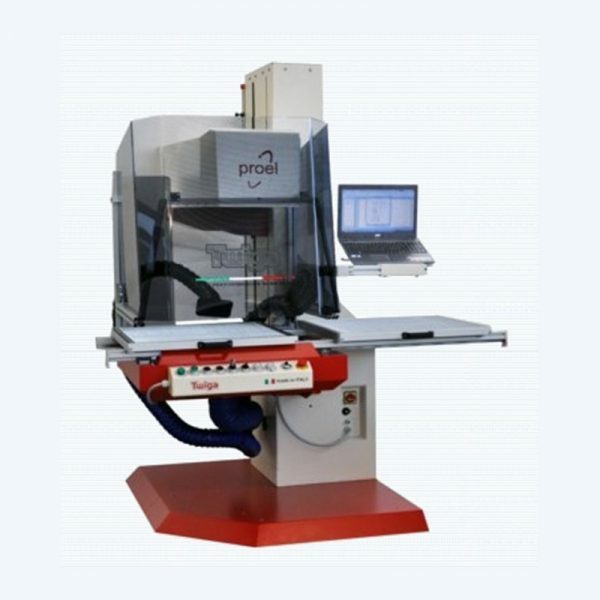 The robust Z axis system is built to last with a variable field from 200mm 600mm. This Z axis movement gives you the flexibility to work with larger materials or objects. 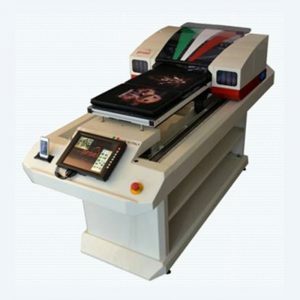 The huge working area is large enough for items such as pants or T-shirts and can complete the cutting / engraving in a single pass. With an X, Y and Z axis combined with a large working area, Twiga has many applications and will be a useful asset to any shop for many years to come. Twiga can cut / engrave a large variety of objects and materials opening the doors to go beyond textiles. If equipped with the new 3D HYPERSCAN generation of Galvanometric Head, job sizes can be as large as the entire cutting area 600X600mm 24″X24″ without loss of focus or cutting ability. Twiga can easily be configured for over-dimensioned components allowing contoured cutting or engraving while keeping the Laser Beam in high focus (thinner the laser beam , higher the cutting power) producing amazing results. With the optional RED POINTER, a visible red LASER dot is directed at the working surface serving as a visual indication for alignment making it easier for the operator can see exactly where the Twiga will cut. 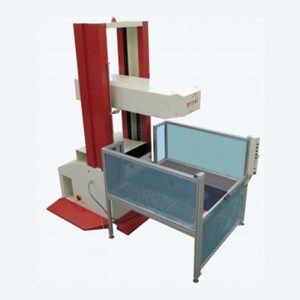 The DOUBLE PLATE (SLIDING SYSTEM) is designed to save most of if not all loading and unloading time. It will certainly increase productivity by allowing the operator to unload then load the next hoop etc… while cutting is in process thus saving time. With this option, the operator can fasten any type of hoop to the Twiga grid. 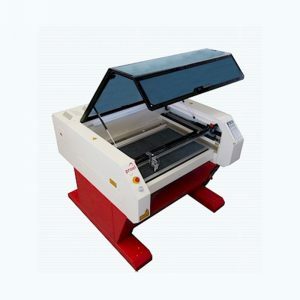 This is designed for a precise way to keep the LASER cutting or engraving in perfect sync with the embroidery.